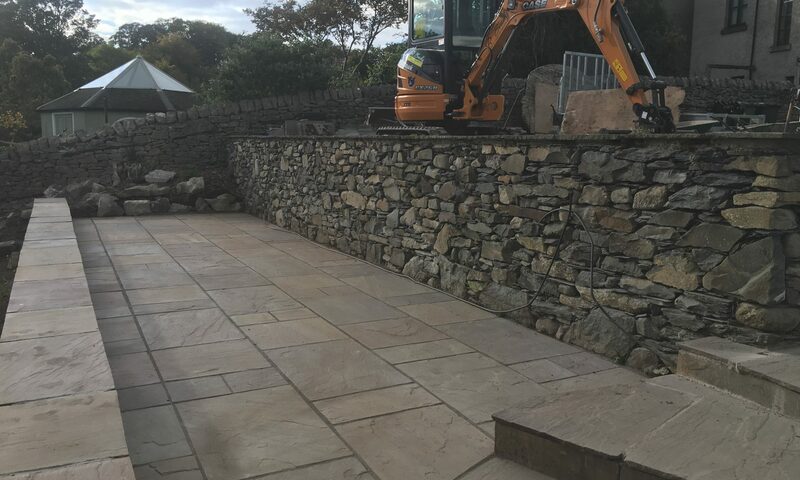 Undertaking a wide and varied range of stone masonry work across the south lakes of Cumbria and the Furness & Lake District area, we have become recognised as one of the leading masonry companies within our sector. From a simple stone repair to an existing structure, to new-build properties, stone cladding and restoration work we have worked hard to build an enviable portfolio of successfully completed masonry projects to an array of private, commercial and public sector clients. Still very much the core of our companies activities and with a reputation second to none within the masonry sector, we employ only the finest qualified, time served and above all experienced stone masons. Coupled with our unique dynamic approach, knowledge and many years of trading in the masonry sector we offer the complete one stop shop for any type of garden stone wall construction or repair project. Boundary walls, retaining walls, new build homes, barn conversions, civil structures and award winning city centre regeneration projects are just a selection of our masonry experience. Operating from our Ulverston base, our employees are passionate about stonework and everything that it entails. Together we have compiled a team rich in knowledge and experience in the construction and restoration of stone structures and offer our services to all types of clientele. If you are considering a stonework project then please feel free to contact us, we will be happy to discuss your project with you. Below are just a few of the stonemasonry services we are able to undertake. We can build your fresh new wall with an array of finishes and techniques – coursed and uncoursed stonework, random rubble walls which has become very popular within contemporary new build properties. We work with sandstone which is natural to Barrow in Furness and Ulverston as well as limestone and slate to name a few. We undertake landscaping projects, particularly where stone is a key feature within the project. Water features and ponds, seating areas, steps, walls, patios and paved areas are just some of our experience. Our specialist masons can create stylish focal points within your home, office or in fact any type of living space. Bold stone feature walls, traditional stone fireplaces built or restored and traditional flagstone flooring have become common requests. Our masons use traditional techniques to create that authentic dry stone wall effect. From garden walls for landscapers to repairing dry stone walls on farms and country estates, we’ve got it covered.